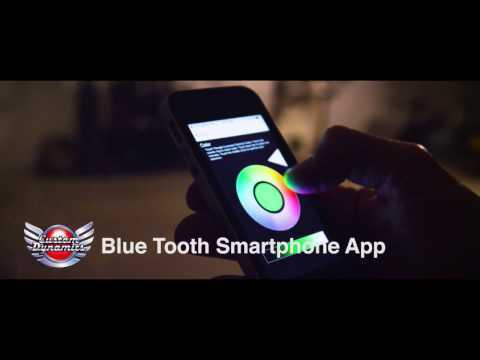 Magical Wizards™ truly are the next generation of color changing LED accent lights that can be synced via Bluetooth to your iPhone or Droid! These colors changing LED Accent lights are designed with TruMAGIC™ Technology that allows you to perform features you only dreamed of! The Magical Wizards™ family offers a variety of options to fit your needs with 60” wires making installation easier. These lights are waterproof with conformal coating, and pre-taped with 3M™ adhesive tape. All the Magical Wizards™ family is backed by a lifetime warranty against LED failure that Custom Dynamics® guarantees. Compatible with 12VDC systems with a negative ground.